Restaurants Save BIG With Web Hiring Tools! Restaurant chains now are using web-based hiring and onboarding tools to reduce hiring costs; savings are more than half of the cost of traditional hiring methods. HotSchedules has announced a partnership with Virginia-based restaurants Roger Brown’s and The Cove Tavern, for labor organization and hiring process tools. The web-based labor management service uses web-based intuitive and flexible employee scheduling, communications and paperless hiring solutions for the restaurant industry. 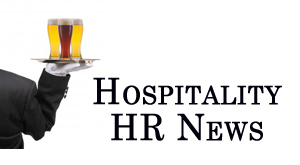 Roger Brown’s Restaurant and Sports Bar, a 16,000 square foot restaurant located in Portsmouth, VA, have worked in the past with HotSchedules to integrate Workforce and Digital Logbook solutions. The Caribbean-themed Williamsburg, VA sports bar The Cove Tavern, also adopted HotSchedules’ product GoHire, as a way to streamline their hiring processes. According to management for both restaurants, they immediately noticed a substantial economic impact. In the past, both restaurants utilized traditional paper-based application and onboarding processes. These procedures created some issues for the team. With GoHire, businesses can now advertise jobs on different job boards, rank applicants based on customized parameters, and verify tax credit opportunities, all from one portal. Also, the cloud-based services simplify onboarding new employees, collecting signatures for employee manuals, W-4s , I-9s and any other required forms. “GoHire makes it incredibly easy to post to any job board you want, so we can publicize our open positions in a much more professional manner,” Lyons said. Using the latest in HR Software-as-a-Service improves quality of the pool of candidates, by casting a larger, yet more precise net. “We absolutely get better qualified applicants since we began using GoHire,” Lyons said. Lyons sums up how hiring for the hospitality industry will benefit from cloud-based technology, saving time, money and headaches. For more information, read the press release at the Wall Street Journal’s MarketWatch. ‹ PreviousSmall Buisness Digest: Buisness Voices Now Online!